Hey everyone, remember me? Well, I’m back (I hope) for some more postings and reviews. I am not really ready to do a game podcast again, but maybe if things work out, I’ll get back to that in the winter. So, what happened these past few months. Well, I lost my job at Microsoft two years ago and was very bummed about it. No jobs for a few months made me decide to try my luck in China. I went to Shanghai in October and was very lucky to get a job offer from PopCap. Sadly, they didn’t think I was a good fit at the time and I was let go in December. After that, I had another few months of no work until I got a job at VMC. The people I worked with were a lot better now then what I read in a few news articles written about it in the past. After that, got my English Teaching certificate for ESL (English as a second language) and moved back to China. I’m currently in Guangzhou, it is North of Hong Kong and the third largest city in China. There are not a lot of gaming companies in the area, but a lot of gamers here. I plan to spend most of my time now talking to you guys and gals about the game industry in China. It’s an interesting subject and one that I don’t think a lot of westerners see. With the boom of the iPhone and Android, mobile gaming companies in China are growing fast and the issues surrounding gaming in China are becoming very grey with counterfeits, selling systems that are technically illegal, and the large growth in social gaming. I hope to write some articles on this and hopefully you can add a few words too on my experiences and news. Also will do game reviews on some iPod games coming out of China as well. I would love to get your input on this new part of GAH. So please be patient as this is my second job and my Chinese is still on the rocks. It’s been a few weeks and the memories of Seattle’s Casual Connect still looms with many of us. Casual Connect, hosted by the Casual Game Association, allows game developers, publishers, musicians, game tool developers and anyone else that loves the casual game industry to come and meet with each and chew the fat. Every year the meat of the discussion seems to change at Casual Connect. Last year, it was all about mergers and partnerships between companies and the big boys coming into the space. Nickelodeon announced their entry into the casual game industry with new games and money awards for games placed on its casual flash game site AddictingGames.com and the partnerships RealNetworks created with mainstream companies to provide more casual game content. This year however, iPhone and Facebook were the talk of the show with the visionaries talking about the future being in cloud gaming. Cloud gaming will allow gamers to play a game on their phones, gaming consoles and computers with all your scores and other features being synchronized. With announcement functions inside Facebook to tell your friends of your high scores, this will force gamers to get to their nearest gaming system and try to beat it. iPhone has grown up since last year to be a contender with the Nintendo DS as the new gaming system. Dean Takahashi commented that more than 300 games are made per day for the iPhone. (This has dropped to close to 100 today accorcding to Mobclix.) This may seem a lot and just adds more worry to the big game publishers as the top ten spots get more and more crowded. But with the amount of money that companies such as Ngmoco, EA Mobile and Gameloft are supposedly making, it’s a tough decision not to get in with the iPhone. Facebook has become the social media hub and the allowance of applications has allowed for an explosion of games onto the site. With very little tweaking, anyone could create a game to play on the site and share your activities to all your closest friends. Companies like Zynga have jumped onto the trend with other notable companies Popcap, Gamehouse, and Microsoft placing their biggest hits onto the site. It’s a big market as with the iPhone and can lead to the same issues as the iPhone. The only positive that it has over iPhone mass of games is that Facebook’s recommendation mechanisms allow for much easier word of mouth for the players to share their favorite games with friends. Some companies who decide on iPhone and Facebook for their future game development have also talked about an item that many old timers like myself have heard repeated at Casual Connect: Micro-Transactions. These are items you buy for a penny or a nickel that will let you do things inside a game. Be it dress up an avatar, buy certain special items, or unlock a new level. This has been quite popular in China and Korea with companies like GoPets and Nexon taking some lead in the market. But now it is being re-introduced again to a western audience this year. Listening to the mistakes people made when talking about their games reminded me of the mistakes made in Korea a few years ago in their casual space. Mochi Media also announced micro-transactions at Casual Connect. Their plan is to create micro-transactions for flash developers that allow anyone to make a game that can be placed on numerous websites and still get paid for their work. This can include new guns, level skipping, and whatever the game developer wants. The plan is probably the best evolution of the flash game. This will allow much more developers to create better flash games and allow any small game creator a chance to test out new ideas and become better developers while having some cash flow come in that isn’t upfront advertising. Like all years, there is a ton of great information for anyone who is interested to look at and see what the casual space is doing, what you can learn from it or how to get into the space yourself. The greatest thing about Casual Connect and the Casual Game Association is that all the talks are free to listen to. If you go to their lecture site, you can hear the talk and download the slides that came with it. I hope other people (*cough* GDC) will do this in the future. I love it and I know I’m not the only one. Hope you enjoyed this recap and see you at next year’s event! If last year I told you that Facebook would be one of the biggest gaming sites with over 55 million players playing at one time, you’d probably think I’m either a visionary or smoking something potheads only dream of. But as social networking becomes the new buzz word, Facebook has become the place to be for casual game developers. Gareth Davis, Program Manager for Games at Facebook talked about what was going on at Facebook on the first day of Casual Connect and how those who haven’t started or are testing the waters of social gaming could get a better grasp at the audience. Facebook users, Davis discussed, are using games to play with their friends, compete with their friends, and looking for fun while on the service. Gamers are looking for frictionless gaming and ways to play wherever they go. Designing your game towards social interaction will make the players come to your games more often and more frequently. Davis ended the talk with some of the guidelines that game developers should look at when creating their games for Facebook. Make the games fun, social and design for sharing with others. The biggest traps that game makers create are porting games directly, spaming gamers and not measuring everything they can when gamers play your game. Also, Davis said, use the resources that Facebook has with its developers forums and discussion sites. 70% of users are out of country. 55+ million people are playing games on Facebook at one time. Games are the most popular applications on Facebook. Nintendo made their appearance early this Tuesday to talk about the things that have helped them become the force they are today. Tom Prata, Senior Director for project development at Nintendo of America, spoke on the ways they grew business with the Nintendo Wii and DS. Prata started the talk by discussing his early years at Nintendo when he was traveling on business with Sutaru Iwata in 2000 (Iwata is now currently the president of Nintendo.) The discussion he had with Iwata were about many things in the company but ended on how to expand the game player population. Nintendo showed its internal numbers that from November 2007 to today, the company has grown from 113.8 million gamers who play Nintendo products, to 143.7 million players. Nintendo believes that there are another 150 million potential gamers that they have yet to bring into the fold. Some have asked now how this growth has occured. Prata says that it is from the Shigeru Miyamoto method of development which some say mirror Nintendo’s development ideals. First, the company observes people and sees what motivates them to do the things around them. They usually don’t look at numbers or stats during this process. The company then looks at the universal themes that surrond the game. After analysing this and other compelling components for the game, the company will produce a proof of concept for a small team to create and test. Nintendo loves small teams says Prata. He says that the small teams help give better communication and are a lower risk to the company. Next they showed an example using Nintendo’s newest game Punch-out. The example shows the ways they developed worked to see what ways to make the punching fun by hitting in three ways: up, middle and down. Another example were the Nintendo Mii’s that are based off the Kokeshi dolls in Japan. Nintendo had originally used the idea of the Mii’s for the Nintendo Gamecube game “Stage Debut”. The game allowed players to take a picture of their face using the Gameboy Advance Camera and let it be uploaded to the Gamecube. The game never was released as Nintendo couldn’t get a viable gameplay idea for the game. It was later redone for the Nintendo Wii. Mochi Media is starting up the news cycle for Casual Connect by announcing that the company will allow for micro-transactions inside flash games. The company will allow gamers to purchase coins that can be used in multiple flash games that use the Mochi Media technology. This according to Mochi Media will allow for more money for flash game developers. In a beta setup of the service, Ninja Kiwi’s “SAS: Zombie Assault 2” was able to make revenues of $7 – $10 per thousand games played. My opinion? This is a logical step for flash game makers. The question is whether the game makers will make smart decisions on what the coins will be used for and if the larger groups of web game players are ready to pay for the service. Saturation of the market is the biggest problem I’m seeing right now business wise as everyone wants your money and less choices on how to use it. If there are hundreds doing the same as Mochi Media, gamers may hold off. If though, Mochi Media grabs enough flash devs into doing this and get very ahead of everyone, it has a good chance of thriving. How does Don Daglow know when the next game consoles are coming out? Don Daglow, former president and CEO of Stormfront Studios, spoke in front of an audience of students and developers on the first day at GDC Canada about how game developers and gamers will know when next-generation consoles will be released. Daglow said that many people won’t believe that the next wave of consoles will come out out much later than anticipated. He refers to industry analyst Michael Pachter, of Wedbush Morgan Securities, and the announcement which Pachter made in Edge Magazine last month that the next wave of consoles will arrive in 2013. Daglow said further that Wall Street, on the other hand, disagrees with Pachter’s analysis because the two previous consoles’ cycles have gone through five year lifecycles. Thus, according to Wall Street, the next game system will more likely be created by 2010. One of the players is losing dominant market share which imposes upon Wall Street’s need for marketable growth. Wall Street is always asking for growth. If a company starts to lose market share they might be starting to release a new console, Daglow said. They have a lot of cash to pay for the ramp up. A company must have tons of cash in order to excel at research, marketing, creation costs, etc. Companies also need to tear down the whole notion that customers will trust that they they will only sell the best consoles on the market even if it isn’t true. If you see a company holding tons of cash, they might be at that point where they are about to promote or release a new console even if their former consoles were less than ordinary. Developers must have something that “wows” a non-player. 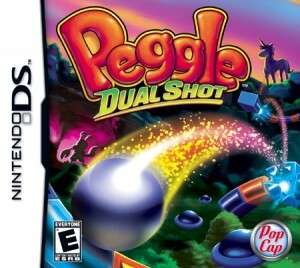 Daglow said that the Wii brought a new way of game play into games that brought interest to the casual and non-gamer. If a company produces some “wow-like” things in their new console, then they might be starting to release a new console. You need to get the cost of the system under $500 at first and quickly to $300 and later $200. When the press begins to talk about what your next generation gaming system will do and what it should have, then the company might be starting to release a new console. Big publishers start to support the new system. When large publishers like EA, Capcom and Ubisoft begin to support a company’s new game console system to see what the company has for the next generation system then the company might be starting to release a new console. Game sales peak one year before the next generation console is created. Daglow said that all new consoles are released when the games for the earlier system peak the year before the console is released. So if a company’s games sales are starting to peak for the current console, then they might be making a new console. Don Daglow has some wise words for you young developers. As one of the oldest game developers still in the business, he has seen it all. During his talk at GDC Canada 2009 for the future play summit, a group of sessions focusing on future game development, Daglow conveyed to the crowd about what game developers of today should look for in this new age. “If only the machine could stop holding us back. Now, we only have ourselves to blame,” Says Daglow speaking about how far we have come from his first games to what is available today. Daglow continued by saying that the old ways of creating games to fit a certain genre, ESRB rating, or whatever your competitors are doing. Game developers need to change the way that they think and leave the old ways for newer, better ideas. Speculating on the future, Daglow said that developers no longer have to worry about technology and must instead develop for the fun of the gamer instead. He discussed the importance of finding what gamers think is fun. Daglow’s ideas include not thinking about whether gamers are either online or offline, but how to merge them together. He also felt that developers should look into what age group would like this game, how the gamer interfaces the game, and making better puzzles and bosses that gamers want to beat. Daglow’s talk ended with a question for the developers. What do gamers spend the majority of their time doing? If a gamer is doing a certain task more than you thought they would, then you need to either change the game to what the player enjoys, or scrap the idea entirely. An example Daglow gave was games that allows you to be a hero for five minutes with 40 minutes of grinding and item trading. Gamers may not like the grind and may in give you more negative opinions about you game than you expected. Making this short and sweet. Going to GDC Canada this week. Maybe another conference this week. Hope to blog from both. Definetly twittering. Have a great week. Duke Nukem Forever gone forever? You can read our show notes here. You can vote for us at Podcast Alley or make us your favorites at Podcast Pickle. Well, this is a late one. Hope you are all having a great spring. Things are getting very interesting in the gaming world and the world around us. From numbers I read, seems this year will be a carbon copy of last year. Hopefully things may get better, but I doubt it very much. Anyway, lets get to the show and what was on it.